Closeout. 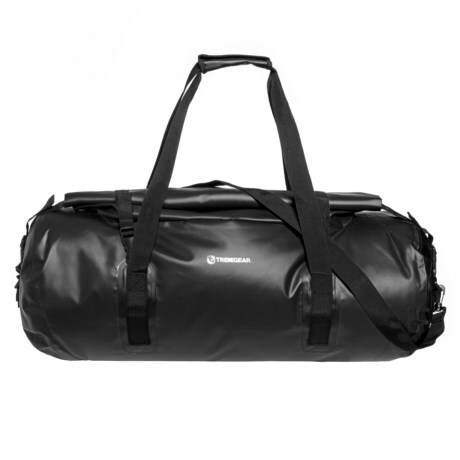 With a roll-top design and waterproof PVC construction, this TrekGear duffel bag keeps your water-adventure essentials protected. Available Colors: BLACK, BLUE.